The major media outlets are all jumping on the bandwagon of the latest food scare, a study and subsequent report by Consumer Reports, asserts that domestically-grown rice products contain unacceptably high levels of arsenic. They focus predominantly on rice products that originate in the South Eastern US namely Texas, Lousiana, Arkansas, though products from India, Thailand, Missouri, and California were also tested. Based on their findings, Consumer Reports is recommending that people reduce their rice intake and switch to oats and other grains in order to reduce their arsenic exposure. While this report is in-depth, hard-hitting, and makes many valid arguments, there are important things to keep in mind before we all jump off the deep end and eliminate everything in our house with the word “rice” on it. When you look more closely at the actual results of their analysis, there are some interesting observations to be made. Firstly, notice that even between test samples of the same product, the total arsenic levels can vary dramatically, among the most notable examples being the Martin long grain brown rice from Missouri. The first sample contained almost 400 parts per billion of total arsenic, while the fourth sample contained a little more than 100 parts per billion. Variations in the total arsenic, however, are not the only things to notice. Continuing with the same example of the Martin long grain, there are two categories of arsenic, one that is unhealthy, and one that is highly toxic carcinogen. These two classes are typically referred to as “organic” and “inorganic” arsenic. Organic arsenic is found in mineral deposits and rock formations all over the world and rainfall dissolves these arsenic minerals into the earth and groundwater. While, poisonous to humans, our bodies capacity to process and excrete this form of arsenic is typically much better than its counterpart. Inorganic arsenic is chemically manufactured and added to pesticides and other industrial products and it too makes its way into the environment through agriculture and industrial waste disposal. The inorganic form of arsenic is highly carcinogenic. The Consumer Report study recognized this distinction and listed the total amount of inorganic arsenic in the samples as well as the ratio of inorganic/organic arsenic. In the example of the Martin Long Grain, the sample which contained the highest total arsenic, 400ppb, contained just under 54% inorganic arsenic. The sample with roughly 100ppb of total arsenic contained almost 74% inorganic arsenic. Across all the breeds of rice tested, the percentage of inorganic arsenic ranged anywhere from 11% to 80%. You may also notice that there is a strong difference between white rice samples and brown rice samples. The brown rice samples tend to contain much higher amounts of arsenic. This is understandable. Most of the nutritional content of rice comes from the brown shell of the rice, which is removed during milling to produce white rice. White rice is nutritionally inferior to brown rice in nearly every respect. It becomes an important question then. 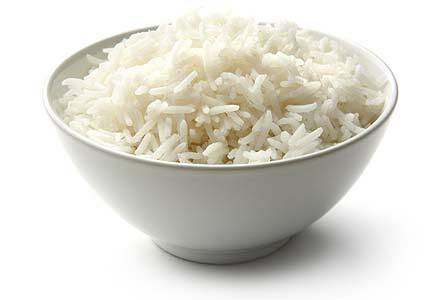 Do you go with white rice and forego the nutrition, or do you go with the brown and potentially increase your exposure to arsenic? The real question might actually be: do you eat to stop hunger, or do you eat to stay healthy? This issue of arsenic in rice is not actually anything new. Concerns about the affinity of rice to absorb arsenic from the soil was discussed as recently as 2005. The main concern we should have about all of our agricultural goods, including livestock, fruits, vegetables, and grains, is contamination from man-made sources and practices and to ensure that naturally occurring toxins are also limited to the best extent possible. Organic arsenic in food is typically a geography issue. Inorganic arsenic is an entirely man-made problem, and its contamination of our food supply is entirely our own fault. This kind of contamination is something that has affected all areas of our food supply, not only rice. Almost every other grain is being grown in soils that have been contaminated by GLOBAL pollution as a result of industrial chemical waste. There is lead, arsenic, and fluoride in our drinking water. There is mercury in the fish. There is cadmium in soy. Corn and wheat are genetically modified. The point being made here is not that one should become apathetic about these problems, or that they should be ignored, or even that they are insignificant. The fact that rice crops in many areas of the USA have become so contaminated that they now pose a health risk is outrageous! The solution to this problem is not to completely exclude rice from your diet, but to demand rice growers to do something about it! If you make your hands dirty when you work, you don’t stop using your hands, you clean them up! The agricultural industry in our country has some very dirty hands, and it’s about time they were asked to clean up. In the meantime, however, we need to eat. The best solution is to try and find the best quality food available, and then use detoxification methods to keep your body clean and protected from these harmful contaminants. Essentially, you limit your exposure, and then you keep your internals clean. There are a number of things that you can do to keep your body detoxified, or at least minimize the amount of toxins that get absorbed, particularly through the digestive tract. Regarding arsenic specifically, one of the best substances is chlorella. Chlorella is an algae that has one of the highest concentrations of chlorophyll in the entire plant kingdom, and then combined with a unique cellular structure that allows it to bind with many different kinds of toxins including heavy metals and other harmful chemicals. Here at the Nutrikon Wellness Center, we have been using chlorella as part of our heavy metal detoxification program for over a decade with remarkable results. It’s safe and effective. Individuals who have high body burdens of toxic substances sometimes feel detoxification symptoms when using chlorella, like uneasy stomach, fatigue, mild nausea, but these subside with time as the body burden decreases, or by using less chlorella. When chlorella is taken in combination with cilantro, the detoxification capabilities are greatly increased. Chlorella, though it can bind with and excrete large amounts of toxins, it does not mobilize them out of tissues very well. It is typically limited to encounters within the digestive tract, which makes it a great mealtime supplement, but cilantro has an incredible ability to coerce heavy metals out of body tissues and into the blood stream where they can encounter antioxidants and detoxifying agents than can effectively and safely remove them from the body. For more information, check out our section on heavy metal chelation, of which arsenic is a part of. If you wish to receive consultation about whether heavy metal detoxification is right for you, call the center at (818) 761-1661 to make an appointment.